The datagrid in Nucleonica’s webGraph++ has been further developed to allow considerably more flexibility in transferring data from a spreadsheet to the webGraph++ datagrid. – append the datagrid by copying a new (x,y) set of data from a spreadsheet into an existing set of data. In the previous blog post, it was announced that graphs can be downloaded in a number of standard formats (png, gif, tiff, jpg, svg, pdf, eps, csv, xml). In contrast to the dedicated image formats, it is now also possible to download the graph data in csv and xml format. The format csv (comma separated values) is a text based format suitable for passing data only between different applications. The format xml (extensible markup language) is similar to html with the important difference that xml has definable tags. In contrast to image formats, xml is also a text based format in which the text file contains not only the graph data to be plotted but in addition all the graph settings (title, type of axes, axis labels, legend, etc.). 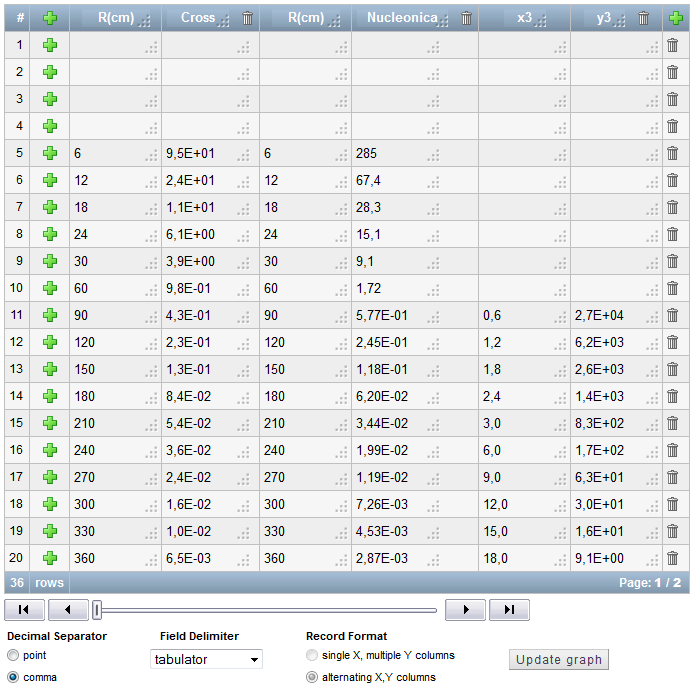 A major advantage is that xml files can be directly uploaded into the user’s webGraph++ myGraphs. For the user this means that important graphs are then stored and can be managed in a single location in webGraph++. The csv and xml downloads are now available in most Nucleonica applications (Decay Engine++, Dosimetry & Shielding++, Beta Dose Rate, Range & Stopping Power++, Cambio++, WESPA++, and Gamma Library++). feedback on our updated applications. As we enter our 5th year of operations, our major applications upgrade programme continues. Almost 80% of the Nucleonica applications have already been systematically upgraded with a view to improving user-friendliness and calculation response times. In this newsletter we summarise the latest key developments and describe the new features available. 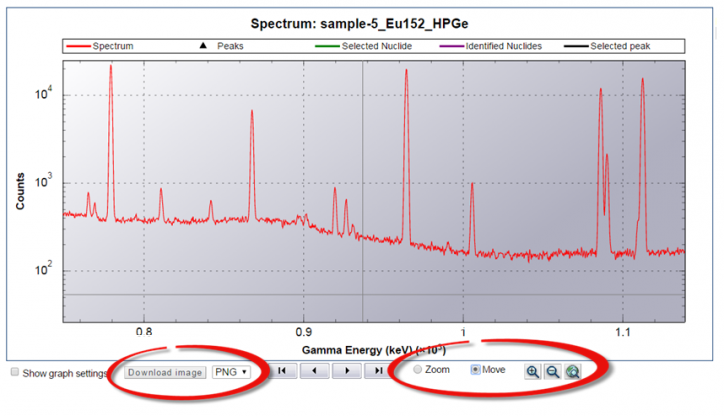 A. What’s New in Nucleonica: In 2014, the applications Nuclide Mixtures++, Gamma Library++, Range & Stopping Power++, Nuclide Search / Radiation Search++, webGraph++, Cambio++, and WESPA++ have all undergone major revision. The use of the “++” following the application name denotes the new version. A new application for the calculation of Beta Dose Rates was launched in November 2014. See more on the following pages. B. Karlsruhe Nuclide Chart Online (KNCO): The new Karlsruhe Nuclide Chart Online (KNCO) has now been available since January 2014. The main advantage of the new online version is that through regular (almost daily) updates the KNCO is always up to date with the latest half-lives and energies of the most important emitted radiations. For more information see pages 10-11. C. Training Courses: We provide a short summary of the various courses held in the past year. The next Nucleonica training course will be held on 15-16 April 2015 in Karlsruhe. Early registration is encouraged. 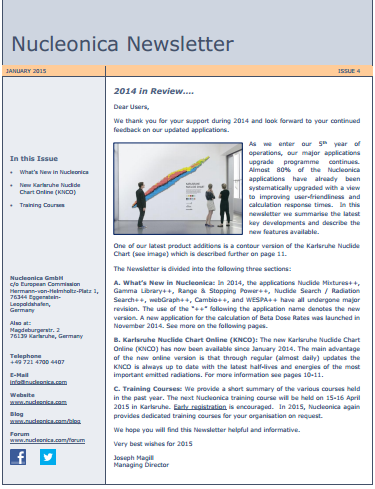 In 2015, Nucleonica again provides dedicated training courses for your organisation on request. We hope you will find this Newsletter helpful and informative.